In today’s world, it’s becoming more and more important to homeowners to have lighting options in their home that are environmentally friendly, pleasant to their energy bills and that will last them for the long-term. Luckily, modern technology with the solution to those three things has been around for several years, and it’s called LED lighting. LED lights are becoming increasingly popular due to the array of benefits they have to offer, which you can read more about in a recent blog post by our lighting team. In today’s blog post, we’ll break down everything you should know about this type of lighting solution and why LED light bulbs are a better alternative to traditional incandescent light bulbs. At The Light House Gallery, we offer a wide variety of light fixtures for you to choose from in our Springfield and Bronson lighting showrooms, including an impressive selection of LED light fixtures. Our goal is to provide the local community with lighting products they can trust, whether they’re simply updating the lighting in their home or choosing lighting solutions for their newly constructed commercial office space. Searching for LED lighting solutions? Visit one of our Missouri lighting showrooms today. There are many benefits to opting for LED lights over traditional lighting methods. For one, LED lights have proven to be a more durable and safe option for homeowners. They are made from sturdy, reliable materials, so you don’t have to worry about them shattering on you. They’re safer in that they don’t heat up like regular light bulbs usually do, reducing the chance of lighting-caused burns or fires. More importantly, LED lighting is one of the most energy efficient lighting solutions on the market right now. On average, an LED light fixture uses about 90 percent less electricity than their alternative, traditional light fixture. They also last a lot longer than ordinary bulbs, so though LED bulbs might have a higher upfront cost, you’ll be saving on loads of replacement light bulbs in your future. Most LED light fixtures can replace your current light fixtures, no matter the room. Our LED selection includes chandeliers, pendants, wall lights, landscape lighting and more! Any disadvantages of LED lights? The only disadvantage we can really think of when it comes to LED lighting is the upfront cost, which is significantly more than an average incandescent light bulb. But we don’t really think of this as a disadvantage since LED lights will last consumers longer than a traditional bulb and help them save on their energy costs. To each their own, we suppose! How long will LED lights last you? Most high-quality LED lights boast lifespans anywhere between 25,000 hours to 50,000 hours. 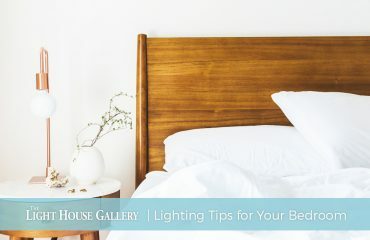 When you do the math, that means if you were to leave your LED light fixture on 8 hours a day (which you probably won’t) every single day, your LED light would last you up to 17 years. In comparison, incandescent light bulbs average life spans of about 1,000 hours, meaning you’d purchase anywhere between 25 to 50 traditional light bulbs for every one LED light bulb. How do I choose between LED lights? When it comes down to it, start with what you know. 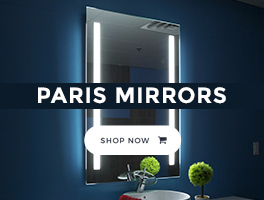 If you have a specific brand or manufacturer that you like or trust, check to see if they have a collection of LED lights or LED light fixtures. If it turns out they haven’t released an LED collection yet, shop for LED lights the same way you would with traditional incandescent lights. 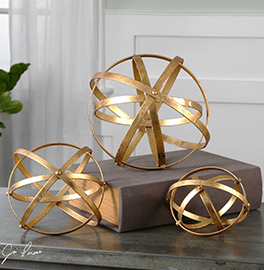 Check the styles and designs you typically gravitate toward and shop those selections in our lighting showrooms. Don’t forget that LED lights are measured in lumens rather than wattage, so ensure you choose the proper amount of lumens for whatever area in your home or office you’re trying to illuminate. Also, if you want dimming options for your lighting, make sure you choose LED light bulbs that allow for this option, as not all do. 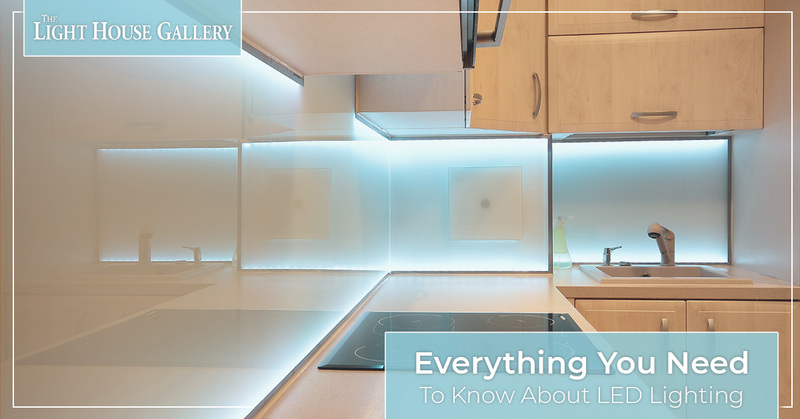 Are you thinking about installing LED lighting throughout your home? Look no further than our selection of LED light fixtures at The Light House Gallery. We offer high-quality interior and exterior light fixtures from some of the best, well-known brands in the country. 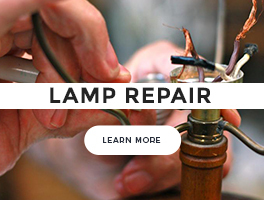 Since 1961, our team has been helping out the local Missouri community with finding their ideal lighting solutions, and we continue to expand our lighting showroom with trendy, innovative light fixtures each and every day. Have any questions for our staff on LED lighting? 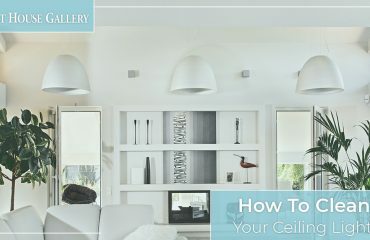 Searching for LED light fixtures but don’t know where to start? Contact us today by calling our Springfield showroom at (417) 268-9444 or our Branson showroom at (417) 213-5312. You can also complete our online form and we’ll get back to you as soon as possible! To receive special offers, fresh blog content and other company news from our staff, don’t forget to sign up for our monthly newsletter. 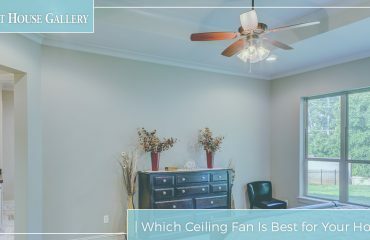 Which Ceiling Fan Is Best for Your Home?